A Resident Return Visa (RRV) enables a former permanent resident to reinstate their permanent visa and become an Australian citizen. Prior to 1 September 1994 New Zealand citizens were automatically granted permanent residency upon entering Australia. Even if they came for a holiday, were a child travelling on a parent’s passport or didn’t require a passport. New Zealanders must be residing in Australia in order to apply for RRV. Their partner and dependent children cannot be included on the application. If eligible for RRV they can submit their own application. Twelve months after being granted RRV they can apply for citizenship, provided they have resided in Australia for at least four years immediately prior to applying. New Zealanders arriving in Australia after 26 February 2001 are a granted a Special Category Visa (SCV), this is a temporary visa under the Migration Act. Some SCV New Zealanders may be eligible for Australian citizenship. 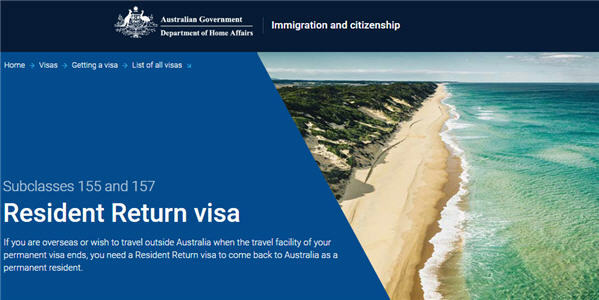 The above “What is a Resident Return Visa Visa?” information should not be relied on as an alternative to advice from the Department of Home Affairs, or a professional immigration services provider.